Uckfield Chamber of Commerce is asking where business space of the future is to be allocated in north Wealden. 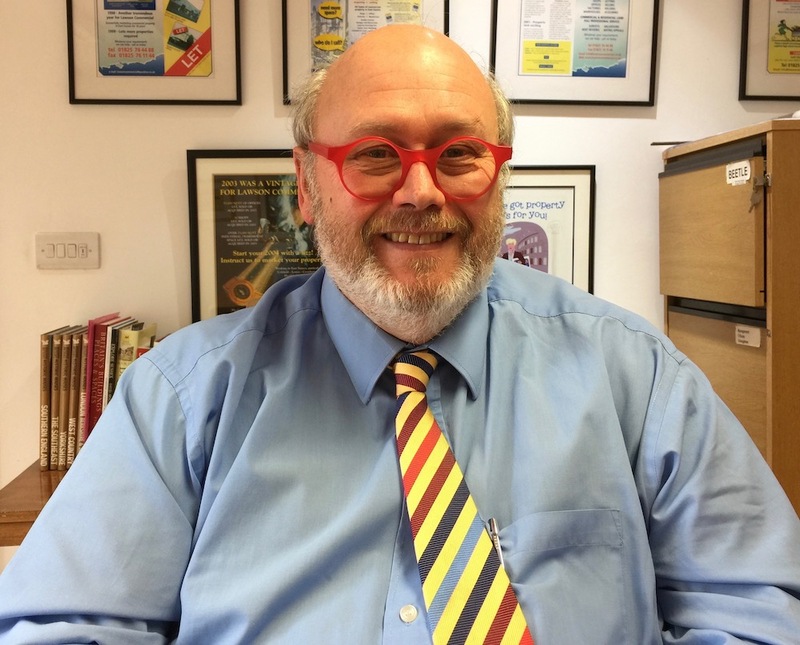 President Chris Lawson who, was re-elected to the role last month for the second consecutive year, and for his fifth time in 32 years, said they would be watching carefully as Wealden Council’s local plan is examined in public at the end of May. Hearings are expected to run for six days at the East Sussex National Resort on Tuesday, Wednesday and Thursday, May 21, 22, and 23, and then the following week on Tuesday, Wednesday and Thursday, May 28, 29, and 30. The Chamber has submitted its views for consideration and Chris said their particular concern was lack of space for business development. Land was allocated on the Ridgewood Farm 1,000 home development but Chris said it was his understanding there was no obligation to start building on it until the 750th home was finished and that could be in five or six years time. He added that in the past when business space was allocated on housing estates it hadn’t materialised. One example was on the site of the former Grampian chicken factory. Business space there was eventually used for more homes. Chris said the Ashdown Business Park, where there was 14 acres of developable land on a 30 acre site, had proved very successful but was almost finished. 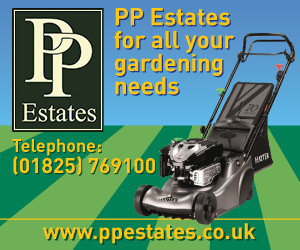 “Where is land in north Wealden for the next business park? Where are all the people going to work who live in the 1,000 homes?” he asked. Chris Lawson, partner in Lawson Commercial, who was re-elected president of Uckfield Chamber of Commerce last month. Chris said Uckfield Chamber continued to grow and was now offering breakfast networking, and lunch and learn sessions, in addition to bi-monthly evening meetings. It was also heavily involved in community activity having funded one of the town’s new CCTV cameras, and covered the costs for the first year of running a youth club which will be relaunched later this month. Four new office suites at Portland House in Framfield Road, Uckfield, have been let by Lawson Commercial. 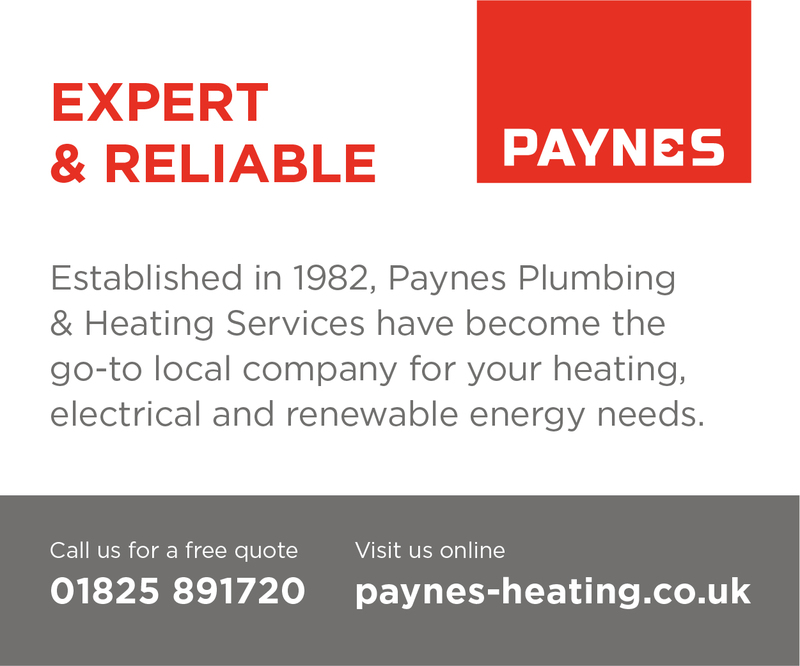 They are in a new building which replaced the old original TR Fastenings factory – and soft play centre. It includes two floors of flats over the ground floor offices. The office suites range from 900 to 1,000 sq ft in size with parking at the rear. Rents achieved ranged from £10,500 a year. New occupiers include Hepplewhites, who have moved their administrative offices from Tunbridge Wells. Also there are Watton Hall Ltd, a specialist recruitment agency who have expanded into larger premises, PS Tech an IT support & consultancy business from Edenbridge, and Focus Select, a telcomms company based in Southwick who wanted to open an office in Uckfield as they had quite a large number of staff who live in the area. Cube Self Storage is offering the prize of three months free membership at Horsted Health Club and Spa at East Sussex National Resort and Spa, in a Facebook giveaway competition this month. Tag three friends in the comment section to get them to join in as well. The giveaway ends on Tuesday, April 30, and the winner will be announced on May 1. Three-months health club membership is prize in a Facebook giveaway competition organised by Cube Self Storage. Hailsham-based License to Freeze Meals on Wheels has started delivering in the Uckfield area. 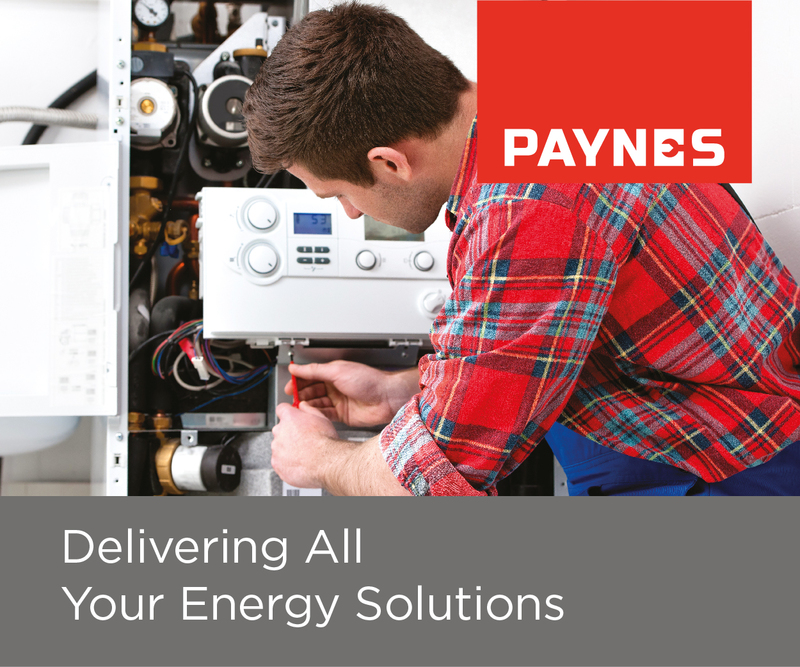 Hot meals prepared by the company are cooked in purpose-built electric oven vans and delivered seven days a week, 365 days a year between 11.30am and 2.30pm. 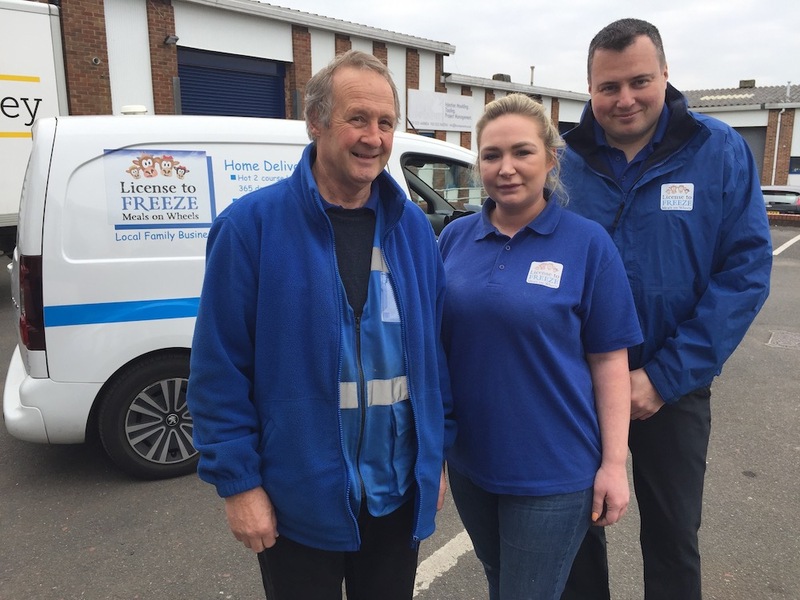 Three members of the License to Freeze Meals on Wheels team are, from the left, driver Geoff Westgate, kitchen supervisor Kirsty Grinyer, and manager Greg Livermore. 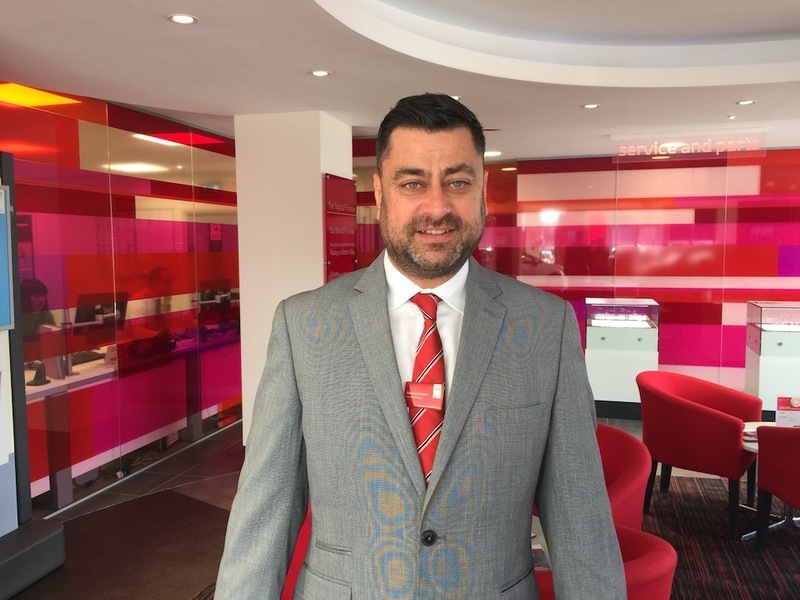 There’s a new general manager at SLM Toyota Uckfield. Simon Evinson’s appointment coincides with the release of all-new Corolla and RAV4 cars. Simon is keen to continue the tradition of community involvement built up by the company in Uckfield. Simon Evinson, new general manager at SLM Toyota Uckfield. Cocktails and mocktails, special menus, job vacancies and a change in weekend opening hours. There’s lots going on at Amira’s Kitchen. Read all about it here: Opening hours change at Amira’s Kitchen. 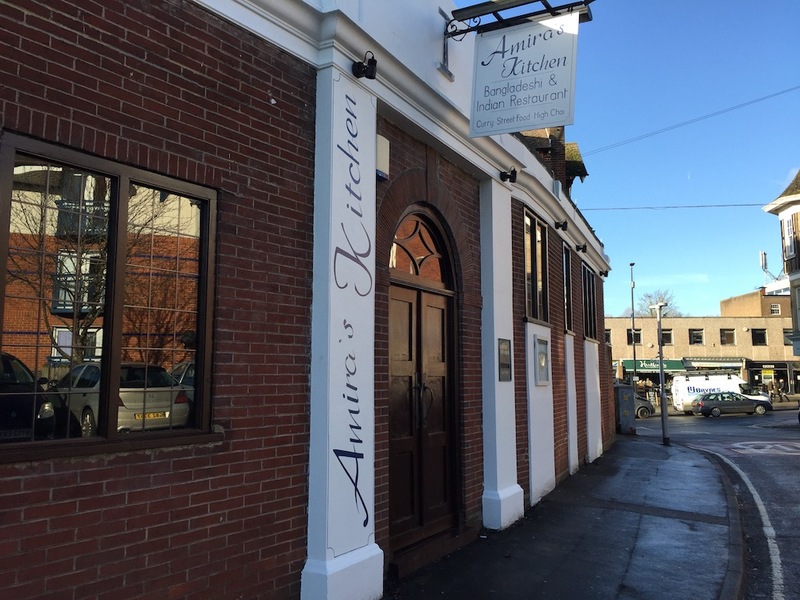 Amira’s Kitchen, the Bangladeshi and Indian Restaurant in Grange Road, Uckfield. 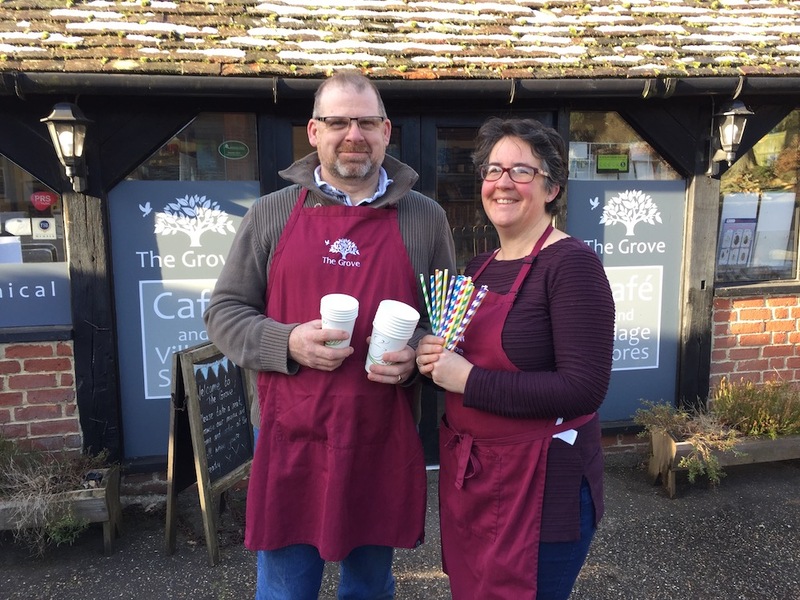 The Grove Farmhouse Cafe at Blackboys is holding an event later this month to gather ideas for events that could take place there. The community ideas-sharing event will be held on Saturday, April 27, between 10am and midday and there will be free tea and cake for those attending. Read more in a previous Uckfield News story here: The Grove at Blackboys plans ideas-sharing event. Andrew and Emma Doherty at The Grove Farmhouse Cafe, Blackboys. Shoe Zone closes this month and commercial agents Oldfield Smith & Co say fitting out is due to begin shortly as a new business prepares to move in. Read more about what’s happening on the shopping scene in this Uckfield News feature: Tips for shopping in Uckfield during April. 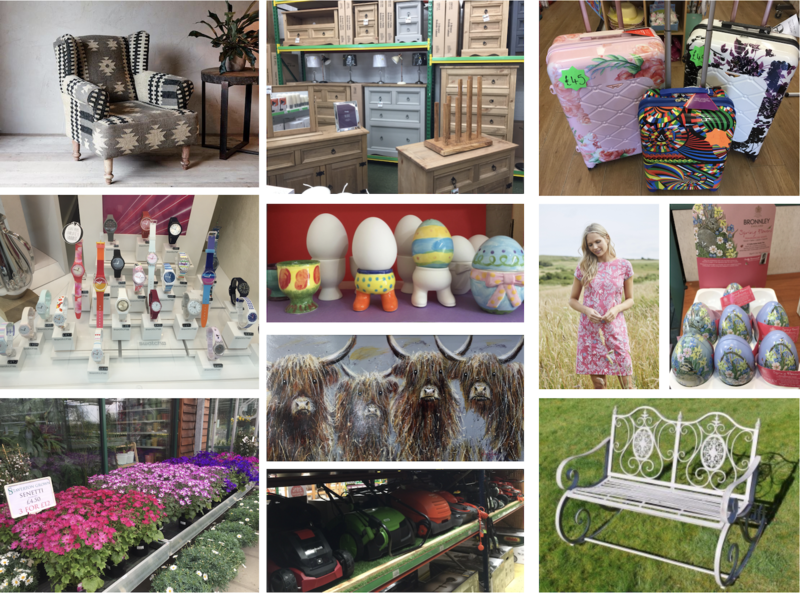 Some of the things you will find in Uckfield shops this month. Did you go to business expo at East Sussex National? 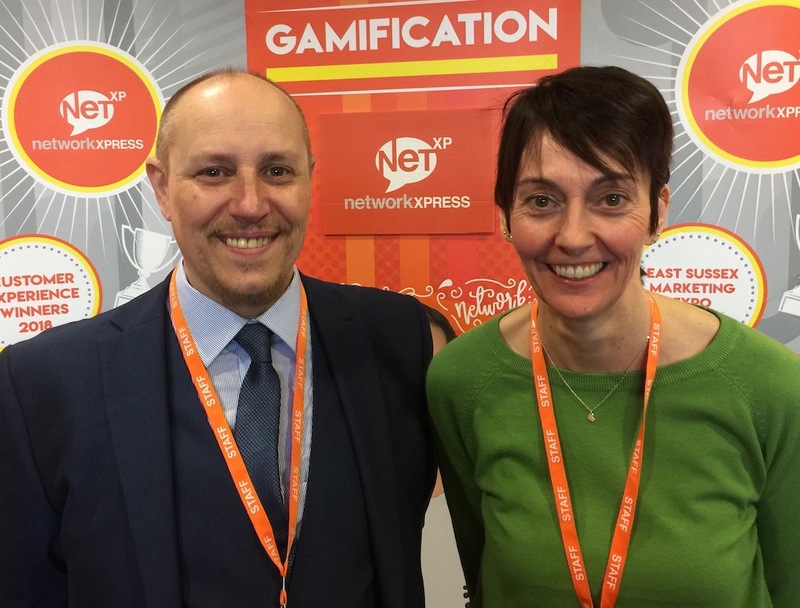 Did you go to the business expo organised by Net XP at the East Sussex National last month? Fifty-five businesses showcased their work and there were fun activities to try. 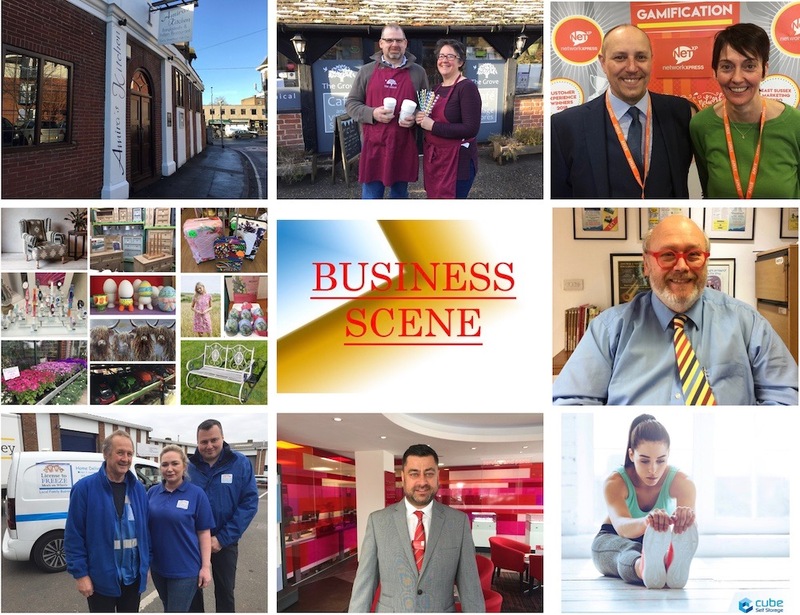 Read more here: Fifty-five businesses showcase their work at expo in Uckfield. Sonny Cutting and Claire Catliff who welcomed visitors to the East Sussex Marketing Expo last month. Job vacancies advertise recently at UckfieldJobs.com include Glazier’s Apprentice, Night Porter, Learning Assistant, Administrator, Waiter and Waiter/Delivery Driver. Read more at UckfieldJobs.com.